It's Friday, good day to dear reader and visitor of this blog. It's a wonderful day and today I am sharing with you that if you have friends who are expecting a baby but you don't know what to give them. I would suggest to check out the Wiggle Boks. They have got cool brands of baby products from Germany and Brazil. They deliver the Wiggle Boks, locally in Malaysia and International. 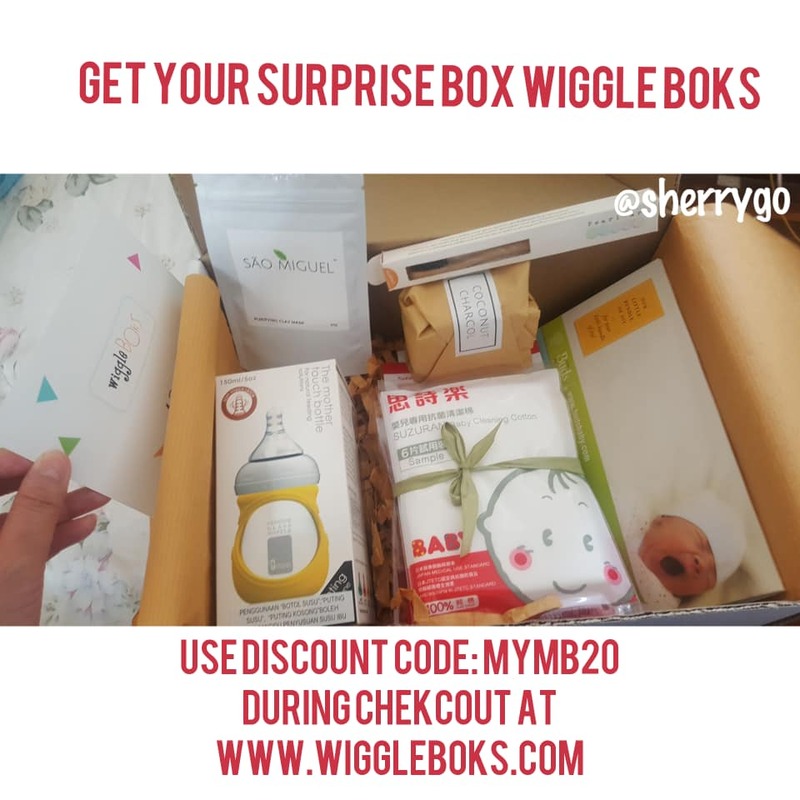 You can view the video above of my unboxing and just sharing with you that the Wiggle Boks has got the best products for mom and babies. They have got the high quality and premium products for mom and baby, they can customize the gift Boks according to the baby's age and gender. If you got an idea to present loved one on this coming Christmas, why not check out the Wiggle Boks. It would be a nice surprise for mommy to receive the box as they don't know what's the content in it. Each month the Boks have got different items inside. The website is user friendly and easy to browse. They have offer 3 subscription plans; monthly 6 months & yearly. It's hard sometime to think of what to present for friends who are new mother, now with the Gift Boks available we can just order it online and delivery to her. The subscription delivery every 4th of the month. Their team curates different products monthly. Just watch the video to know what products I have received from this month Wiggle Boks. Yeah there's product of UMEE : Genuine Glass Bottle for new born, Teeth Whitener by Coconut Charcoal, tooth brush by Pearl Bar, face mask powder and some samples. Don't just read here, if you have no idea what to shop for loved ones who are new mom or a expecting baby a surprise box would be fun and surprising! 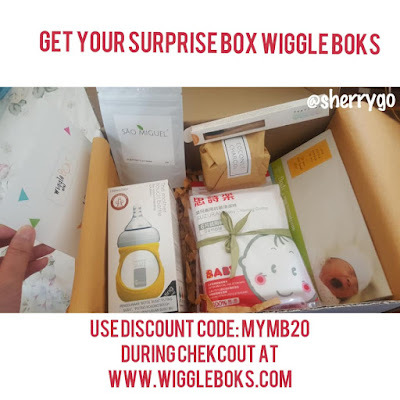 You may use the discount code: MYMB20 during checkout for monthly subscription, and 6 month plan on web www.wiggleboks.com 20% off. If you like to know more about the Wiggle Boks, please to click on the link to visit their website. yeah surprise box for new parent is good idea! yeah great idea to surprise mom who are expecting baby :D, the journey of receiving surprise boks. yeah good to surprise mom and as nice gifts too. yeah surprise loved ones with boks. Especially new mommy, something for mom and baby inside. This is fun! I love suprises will grab a box for myself and feel the joy of it. ini adalah inisiatif yg bagus. create a surprise box! bagus. memudahkan utk bagi hadiah. and, it is a surprise!! sure buat penerima nyer happy to the max. Bagusnya..glass bottle..xpyah nk.pkir psal BPA contamination bagai dah..i lioke..
Banyak juga produk dalam box ni yea.. kalau nak surprise bff yang baru melahirkan baby memang sesuai sangat ni.. ada diskaun tu.. nanti boleh lah TB tengok..
Wah..produkbaru ke..pertama kali nampak..menarik bagi hadiah macam ni dekat mak bakal lahirkan anak..barang2 pun bgus..hadiah birthday ke kan..
Wow this is so cool especially those who has babies and also a good way for presents as well.